We’ve been running Burgtec’s bombproof Penthouse Mk4 pedals for years, so a test of the newly released, and more affordable composite Penthouse MK4 was certainly in order. 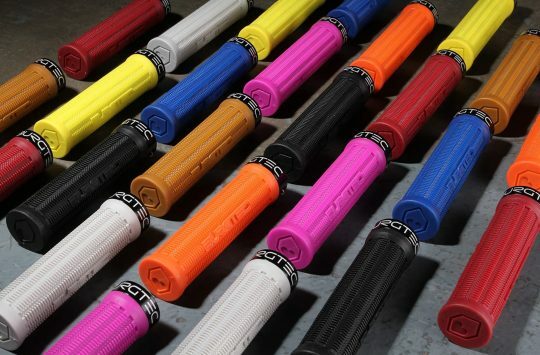 At the very start of this year, we headed down to Burgtec HQ for its own house show where it showed off a bunch of new products from Greg Minnaar signature grips, bearing upgrades for rear shocks, to these new composite pedals. Yup, they look a lot like the current Burgtec Penthouse Mk4 pedal, in fact, they look almost exactly the same, so what’s different? The composite Burgtec’s have a little extra material on them. Taking what it had learned from its popular Penthouse MK4, Burgtec set its sights on developing a pedal that performs just as well, but at a more accessible price point. At £39.99 these composite variants are at least half the price of the alloy Mk4, but by sharing a similar design and features they promise offer equal grip. 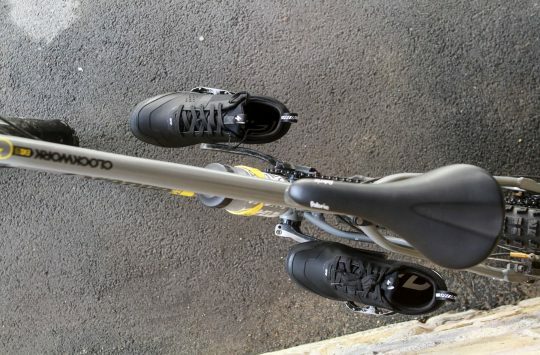 Almost exactly the same as the alloy pedal except for this, this and this. 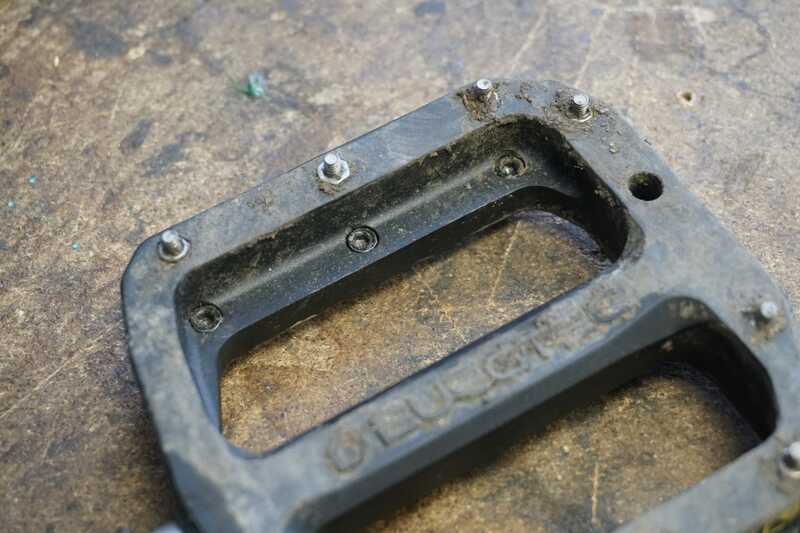 Reducing the cost while maintaining performance was a major factor in designing the composite Mk4 pedals, as was ease of maintenance and durability – after all, wannabe Ratboys are likely to want a pair for woodland jibs so they really need to be up to the job. With this in mind the composite nylon fiberglass body of the Burgtec Penthouse Mk4 measure in at a slightly thicker 17.96mm to ensure they’re still solid and strong, with the added benefit of improving clearance around the axle retaining nut for easier maintenance. Anyone who has tried to service a set of alloy Penthouse Mk4 pedals will know that finding a socket to fit on the axle nut is a little tricky (we actually ground down a regular socket specifically for the job). This isn’t an issue on the composite model. 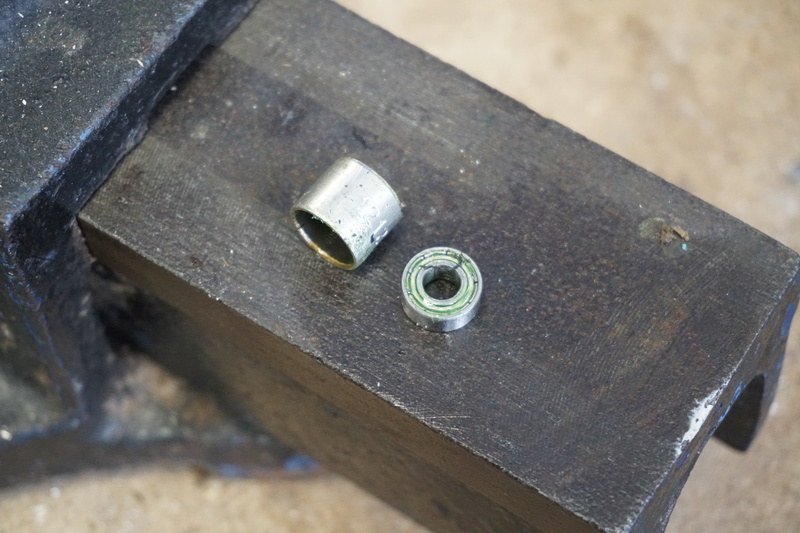 A bearing on one end a bushing on the other. The thick nylon body spins on a single bearing race, fitted on the outboard end of the pedal, and a single split bushing at the crank end. 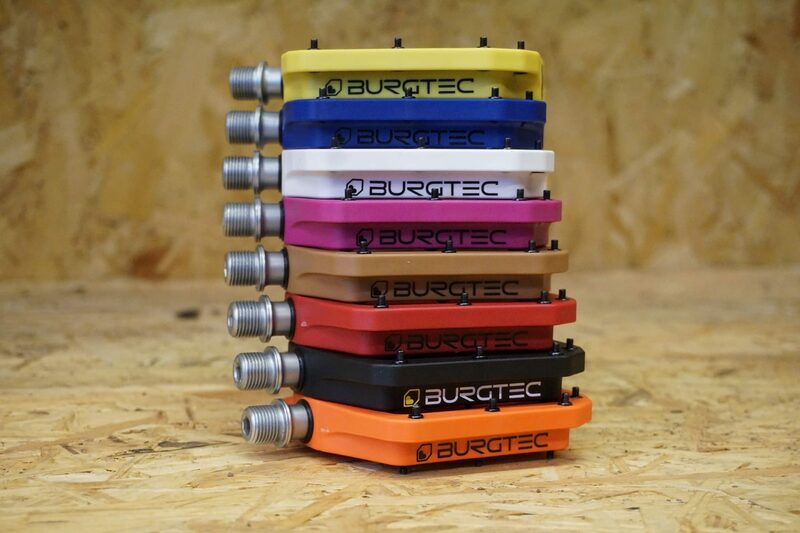 It’s worth noting that Burgtec packs its budget pedal with quality grease too. Externally we have the same angular design as the previous pedal, but again with a little meat added here and there to ensure the chassis is as tough as you’d expect a Burgtec to be. Each platform has 16 pins in total, 8 either side. 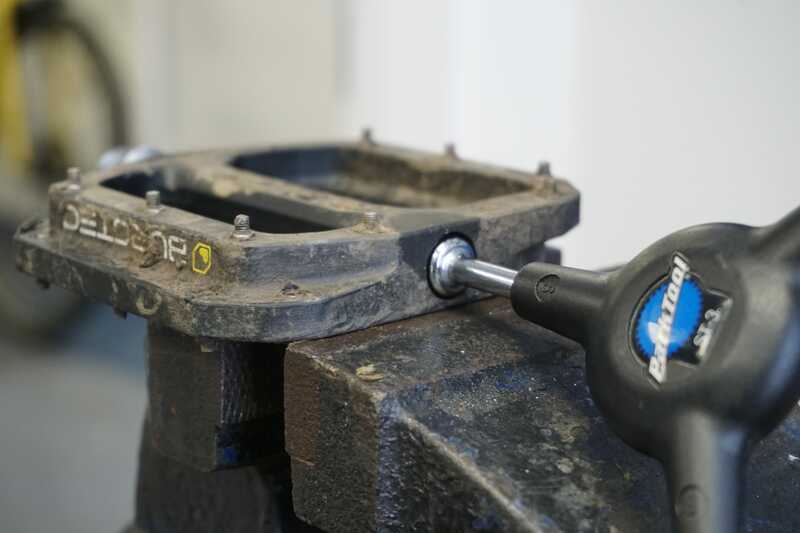 Each pedal comes fitted with 16 replaceable steel pins fastened to the pedal via steel nuts molded into the body. 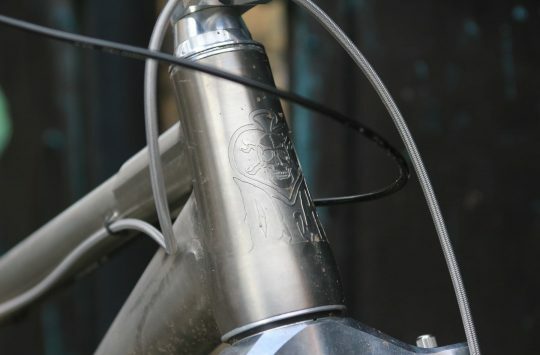 Each pin bolts into the pedal so that the head is safely tucked away from rock strikes and knocks. 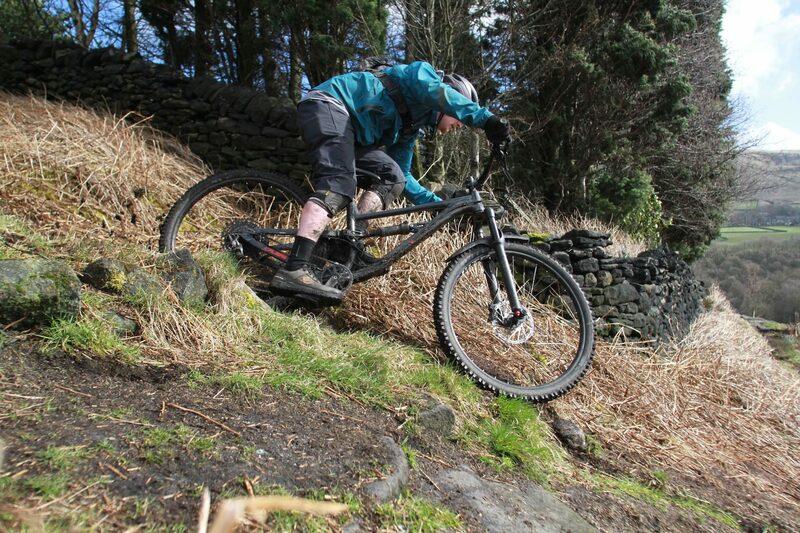 Plenty of platform and plenty of grip. Another slight difference between these composite models when compared to the alloy version is the amount of dish which gives the platform a slightly concave shape. The alloy Penthouse Mk4 has just 1mm of dish whereas the composite pedals have 2.8mm (according to our digital calipers). 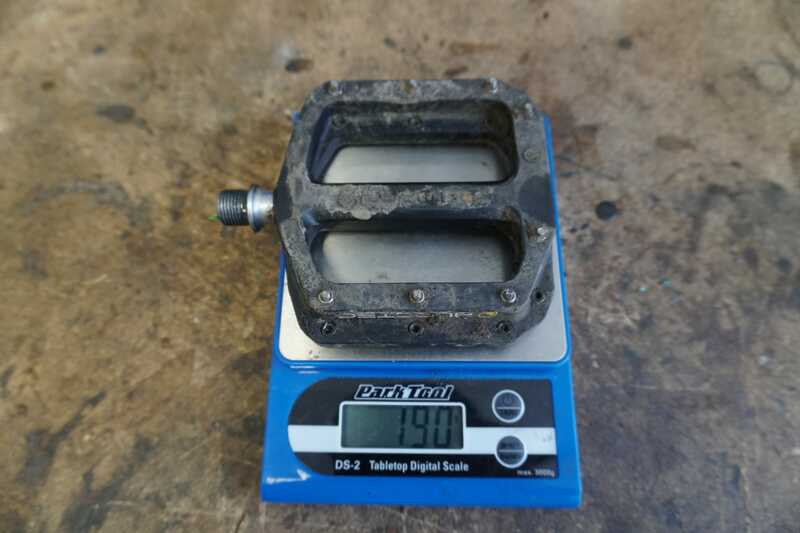 A pair of nylon Burgetc Mk4 pedals weigh in at just 380g just 10g more than the top of the range Ti axle models. The final cherry on top is that Burgtec says the composite body of the Penthouse is recyclable. Underfoot the composite Penthouse Mk4 pedals feel just as good as the more expensive alloy version with a good level of traction and maneuverability. The large platform gives you a good space to aim for and while those steel pins offer enough bite to keep you in check, they don’t interfere with those last minute foot repositioning moments. Throughout our time testing the composite Mk4 we rode then with various flat pedal shoes including Five Tens, Shimano GR7’s and Giro Riddance and Bontrager Flatline shoes, and each combination complimented each other as well as Manchego cheese and a mature red wine or if you prefer, chicken nuggets and a chocolate milkshake. The new Penthouse work up and down the trail like a dream. 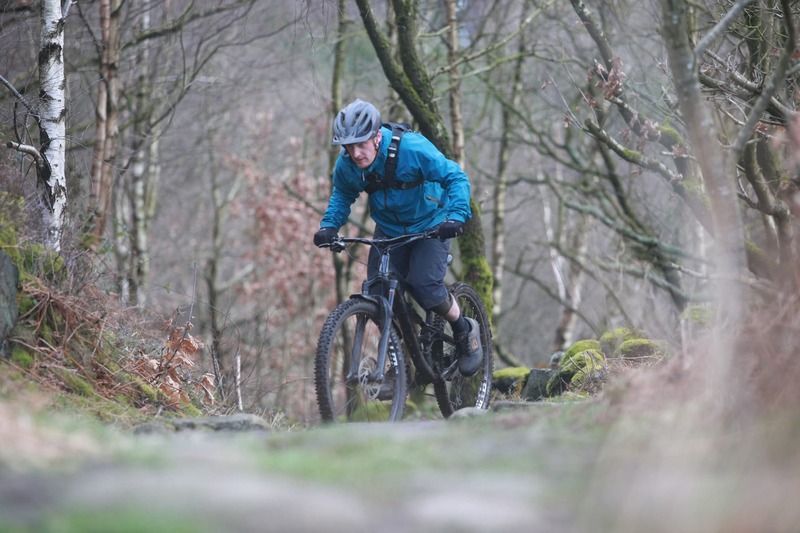 While some of you might instantly associate Burgtec with the likes of 50:01 and mucking about in the woods, the composite Penthouse Mk4 is a versatile pedal that works well in every environment, trail and weather condition you can think of and came back asking for more. From short stints at the BMX track to all day e-Bike rides and everything in-between the Penthouse is comfortable and confidence inspiring pedal. What more is there to say other than the composite Burgtec Penthouse Mk4 grip your sole as tenaciously as an excited octopus clinging to a winning lottery ticket. They’re a fit, ride, and forget product that spins freely and looks every bit as good as their alloy cousins. At a penny under £40.00 I struggle to name another pedal that I would personally spend my own money on. 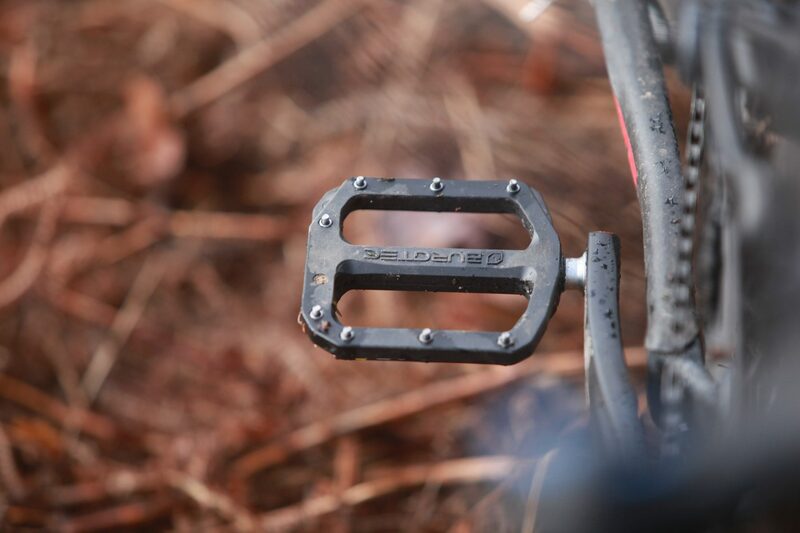 Overall a great looking and performing pedal available in a huge range of colours. Raceface Chester? Slightly bigger platform, lighter and only about £5 more. Having said that, it makes a nice change to see something that works well and is a realistic price. 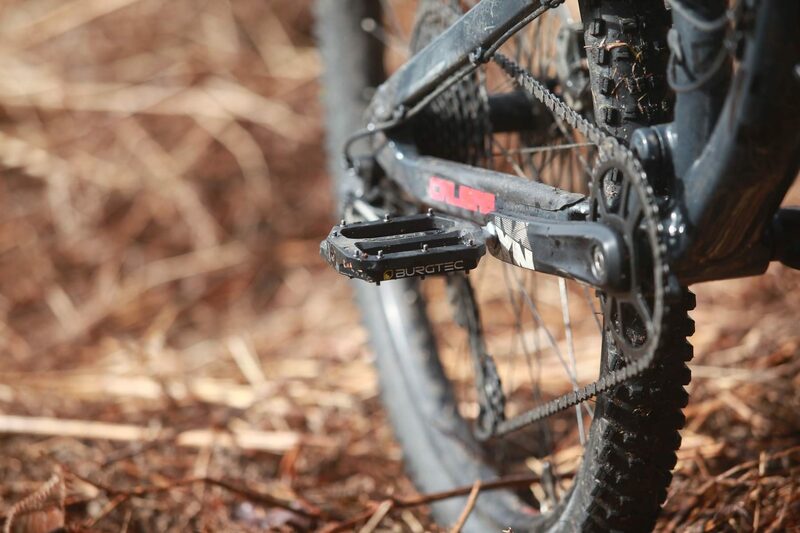 Do these take the same axles as the alu pedal? Specifically, do the “boost” axles fit? 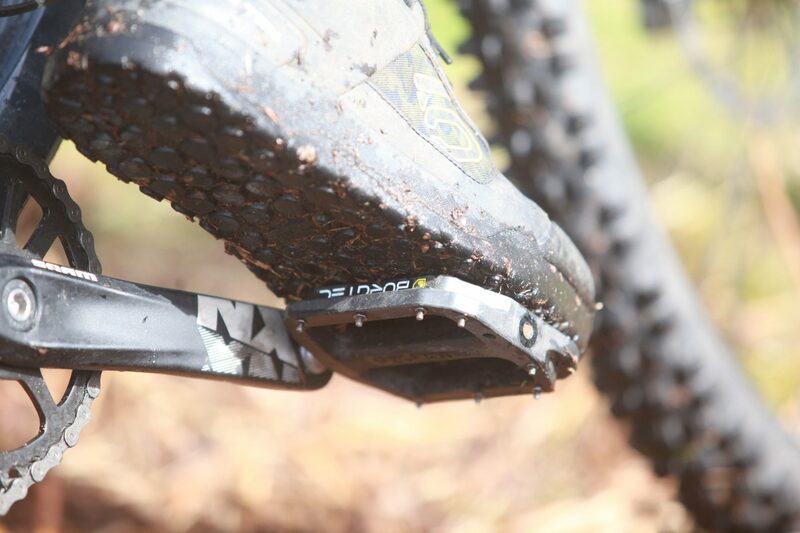 One-up composite pedals have been great so far. Def gripper than my previous Vaults. And the green matches my bike!! Will they do an adult size one to go with these little ones?